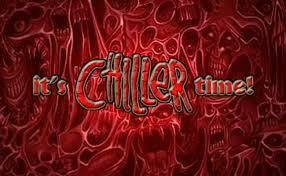 Zombies have been all the rage for quite some time now in movies, television, comic books and videogames. The Dawn of the Dead remake, Zombieland, World War Z, the juggernaut, The Walking Dead, iZombie, Z Nation, even Game of Thrones, Left 4 Dead, Call of Duty and many others, have taken what once was a niche subgenre of horror and spread its popularity like an ever-evolving virus throughout the world of entertainment. But by this point, you’d think you’d seen every variation of the undead and that no new ground could be broken. Thanks to Korea’s Train to Busan, the world of flesh-eating zombies are alive and well, and remain fresh and exciting. It’s a non-stop, breathtaking, emotional thrill-ride, full of heart and Seoul, that will leave you exhausted and exhilarated when it’s over, as you realize the undead genre still has much to offer. Train to Busan starts off with a bang with a great sequence that sets up the viral outbreak that is reanimating corpses. We are then introduced to Seok-Woo, a divorced fund manager, whose busy, heartless job leaves him little time for his young daughter, Su-an. Per her birthday wish, he decides to take her to visit her mom via rail, from Seoul to Busan. Unfortunately, as the zombie virus begins to spread throughout the city and its surrounding towns, one infected individual manages to board their train. It doesn’t take long for the disease to manifest itself and escalate amongst the passengers. 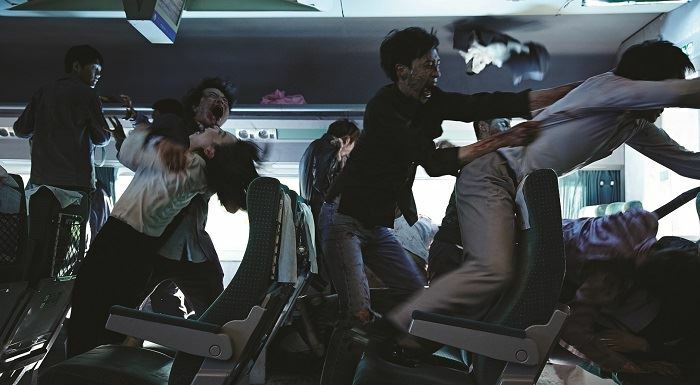 Joining forces with a tough guy, Sang-Hwa, and his pregnant wife, Sung-Gyeong, a high school baseball team and several others, they must evade the flesh-eaters on the train as they move from car to car as they travel to what they hope will be a safe and secure haven in Busan, making occasional station stops along the way. As is often the case, in addition to dealing with the living dead, they must also contend with some of the living who are only concerned with their own safety. The ‘moving train’ subgenre is an interesting one. It combines a restricted, confined setting, with one generally moving at a high velocity to a destination that either threatens danger, or else the threat occurs along the way. Horror Express (1972), Murder on the Orient Express (1974), The Cassandra Crossing (1976), Terror Train (1980), and the more recent Snowpiercer (2013), have all exploited this premise to great effect. 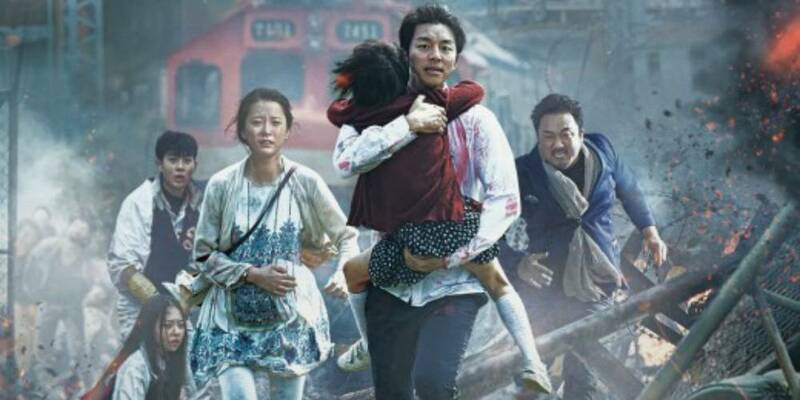 What makes Train to Busan so special and unique is its incredible ability to balance its character-driven, emotional storyline with its relentless, action-packed pace. Amidst all the carnage and violence that ensues as the film hurtles towards its destination, with only brief pauses in between, Busan manages to get the audience completely caught up in the various characters’ plights – the father bonding with his daughter, the man protecting his pregnant wife, the homeless man who has seen the atrocities first-hand, the lifelong friends on the baseball team, two elderly sisters, and lastly, that one you grow to hate, a rich, self-centered man. Despite finding the time to explore all these characters, the film never lets up in the action department, with some jaw-dropping sequences that rival some of the most horde-heaven scenes in the much higher-budgeted World War Z. That this marks the live-action feature debut of Yeon Sang-ho is a revelation in that this is such an accomplished, assured and amazing looking film. The cast is terrific from the oldest to the very youngest. Gong Yoo as Seok-Woo makes for a compelling lead as he struggles to connect with his daughter and be the father she now needs more than ever. Ma Donk-Seok as Sang-Hwa adds strength and humor to his role as the future father not just protecting his own pregnant wife, but the lives of the others as well. His wife, Sung-Gyeong, is played by Jung Yu-Mi, who gets a head start on motherhood by looking out for little Su-an. It is Kim Soo-Ahn who steals the show and your heart as Su-an. She is utterly adorable, and gives an absolutely heart-wrenching performance as she witnesses the horrors that surround her. She’s able to convey such concern and anguish without so much uttering a word at times as we watch her notice the events unfolding as others remain oblivious. If you aren’t moved by her performance, you may as well be one of the throngs of the undead. In addition to the direction, credit goes to Park Joo-suk, who adds social consciousness and class warfare to his energetic script. There’s the balance of work and family, the thoughtless profiting off the harming of others and the distinction between different levels of society. While those with little are willing to sacrifice themselves for loved ones or even strangers, there are others of wealth who prove to be selfish and cowardly, with concern only for themselves (hmmm, what presidential candidate does that remind us of). And just as the mindless hordes of zombies congregate and attack en masse, so do those scared individuals with the shared interest of self-preservation at the expense of all others. Kudos to the entire crew that brought this stunning achievement to life, from the cinematography by Lee Hyung-deok to the editing of Yang Jin-mo to the astounding F/X work by Jung Do-an & Park Gyeong-su. They’ve created some truly frightening-looking zombies, of the fast-moving variety, by the way, and the manner in which they come to ‘life,’ in jerky, bone-crunching contortions, is unnerving and unsettling. Praise must go to all the actors portraying the undead as they really give it their all. It’s interesting to note that while their is so much carnage and death going on, there is little to no blood and guts spilled. Though the attacks and kills are terrifying, it’s without spurting arteries and eviscerated organs, which the Gore 4 is certainly a fan of, but here, they aren’t missed for a second. Though South Korean horror may not be as celebrated as that of the Japanese, they have released a number of gems – Kim Jee-woon’s A Tale of Two Sisters (2003) and I Saw the Devil (2010), Bong Joon-ho’s The Host (2006), Park Chan-wook’s Thirst (2009) – which have shown they can bring entertaining and shocking visions to the screen. Train to Busan will no doubt be added to that list. It is a blood-curdling, relentless, whirlwind trip of terror, with plenty of stops for tugs on the heartstrings. The movie has been a smash hit in its native country, and can currently be seen on American screens. Fans will be happy to know a full-length animated prequel, Seoul Station, also by Sang-ho, is getting released now, and there’s even been talk of a live-action sequel as well. So, hang on, there’s plenty more Korean zombie action on the way!